Love the outfit ! Nice ! orange looks gorgeous on you. i know what you mean, i thought it would only really suit the more tanned people too, but my gosh it suits you! I'm really addicted to coral right now too, and just bright colors in general. That Michael Kors bag is to die for! I love the color of coral :) You look super cute and your bag is amazing! great outfit! The floral blouse looks really pretty. I also never go under sun without a good sun cream or lotion. I'm in love with this fabulous outfit!! Gorgeous blouse and blazer! Like it! Special mention to the jacket and the bag! La giacchina mi piace u sacco e tutto l'outfit e' semplicemente perfetto! 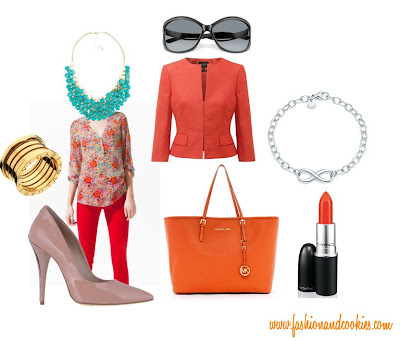 I love this outfit and I think coral and orange are very flattering on you. la camicia floreale è carinissima! You look so cute and chic in this outfit! I love it! Great colors, too. Amazing outfit!!! Love every detail!!!! so lovin' the coral and turqoise blend! you look great! And thank you for following. Now following back..
cute outfit! i love the bag! I love the orange tones and your pop of turquoise! You look so chic! So cute your blog! i love it! following! So pretty and very stylish. great combination. I totally love that tote! W i Colori! !...Your Look is as Beautiful as a Masterpiece of Art! ...Cheers!!!! I love the bag and the watch! A great outfit! i'm drooling over that floral blouse. vale, the coral with the turquoise is fun & pretty! it reminds me of spring/summer. i like the bright colors too. you do NOT need a tan, says the pale girl that can tan to save her life. Love the colors.. the top and blazer complement each other a lottt !!! And you look perfect in that color..
you're pretty and nice outfit!~ the colors are so vibrant and they flatter your complexion, perfect choice of lip color too! your bag is so AMAZING!! adoro la blusa di zara, è bellissima! 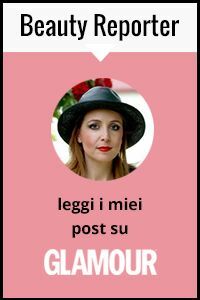 Veramente sempre cosi carina! :) Mi piace a morire il sacco MK, e anche l'orologio. Your jacket is great! Generally I love your outfit :) is very fashionable :). Check out my blog! I love this outfit because it's very colorful. 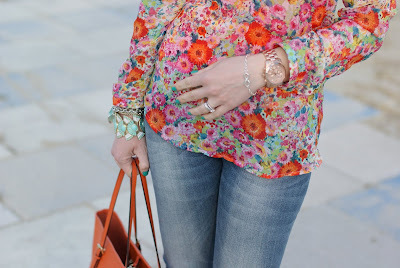 Floral shirt and mint necklace are great. Mi piace molto l'abbinamento dei colori e delle stampe, e che dire degli accessori? La borsa è bellissima e il bracciale di Tiffany è nella mia wishlist! amazing floral top! overall I love your style! Love the colors really cute!! Amazing outfit, ur a very beautiful lady. that jacket color is so gorgeous! and with the print it looks so great! I'm LOVING this look, it's so.. JUICY! amazing look, nice colours :D.
...carinissimo questo look...questi colori!! !...mi piace davvero tanto!!! This is a great tote. I like how it pairs well with other saturated, bright colors instead of clashing!